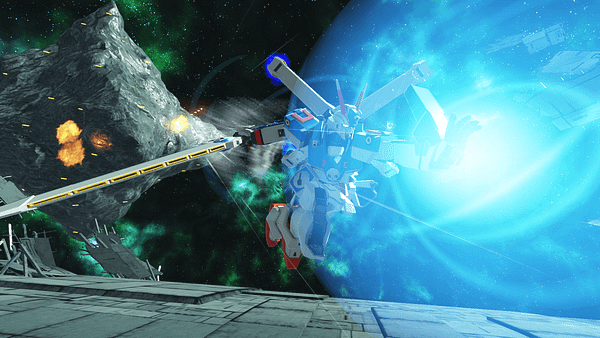 Another of Bandai Namco’s reveals over the weekend is that Gundam Versus will be getting an open beta before the official launch on September 29. This is very welcomed news, as those of us who have played Gundam games in the past can attest to, because far too often will you run into issues with the games and see the flaws as they were rushed out. Getting a chance to try this one out in advance may help eliminate any possible issues. There weren’t a lot of details released about the open beta, only that it would be coming soon for the PS4 and that there would be some online content to try out. Here are the rest of the details for the game released by Bandai Namco late Friday. World famous giant robot series and notorious head-to-head smash hit, Gundam Versus, is coming to the Americas for the first time for home console, this time built from the ground up exclusively for the PlayStation 4 computer entertainment system. Pilot legendary Mobile Suits, each equipped with their own weapons systems to learn and master along with enhanced mobility options allowing for advance strategies to evade and outwit opponents, in explosive two-on-two and three-on-three online battles. Pre-order Gundam Versus now at participating retailers to receive the pre-order exclusive BN-876 ß Hot Scramble Gundam along with bonus DLC characters including ASW-G-08 Gundam Barbatos Lupus and GN-005 Gundam Virtue.